The modules in this course focus on the case manager’s role as a care coordinator among multiple agencies and as an educator to the member. Gain insights on improving care for high-risk patient populations, recognizing urgency, gaps in care, and opportunities to improve care and outcomes. Includes a review of critical thinking skills focused on problem solving best practices. In this module, participants will explore the common chronic diseases that cause the major morbidity and mortality to the US population. While some modules are broken down by disease process, such as Cancer and Diabetes, or symptoms such as Chronic Pain, others explore organ systems and the diseases that afflict those systems; ex. Pulmonary Diseases and Heart Disease. All of the modules discuss the pathophysiology of the disease processes, how these diseases cause damage to the body. They then discuss the diagnosis and treatment modalities. 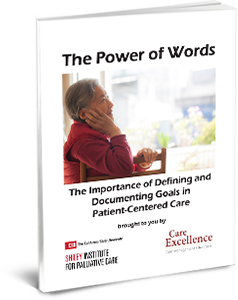 Finally, they explore the ways that providers can educate patients and caregivers in those management strategies in order to promote improved quality of life. Cancer – This module will explore the epidemiology of cancer, the risk factors of developing cancer, and will review the basics of diagnosis, staging, and treatment of common cancers. Chronic Pain – Learners will gain an understanding of the common types of chronic pain syndromes and their treatments, and tools for assessing pain. Treatment modalities available, techniques for opiate use management in chronic pain, as well as issues related to addiction, are included. Diabetes – The pathophysiology distinguishing Type 1 and Type 2 Diabetes will be covered in this module, as well as the complications of the disease over the long term. Learners will gain tools for the management of Diabetes, particularly for blood sugar management to minimize long-term organ and neurologic damage. Geriatric Frailty – This module will examine how to diagnose geriatric frailty, and will provide management strategies to reduce morbidity and mortality in the frail elderly. Heart Disease – Learners will gain a thorough understanding of the stages of heart failure, of the signs and symptoms of heart failure progression, and will gain knowledge of the standard treatments for heart failure. Liver and Kidney Disease – In this module, while gaining an understanding of the progression of failure of two of the body’s most complex organs, liver and kidney, measurements for tracking disease severity will also be covered. The common causes of liver and kidney failure, and management of liver and kidney failure will be covered as well. Obesity – Learners will gain specifics on the epidemiology of obesity, its definition, and tools for successful weight loss strategies in order to assist patients to lose weight. Neurological Conditions: Stroke and Parkinson’s Disease – The module provides learners with a view of the risk factors as well as management strategies for stroke; and gives a full overview of the pathophysiology of Parkinson’s disease and its progression. Tools to assist patients with Parkinson’s and stroke to manage their disease, to maximize function and quality of life, are also provided. Pulmonary Disease – The pathophysiology, diagnosis and management of COPD, Asthma, Sleep apnea and pulmonary infections are covered in this module. It also includes methods, tools, and resources to assist in smoking cessation and compares their efficacy. Learn the principles of advance care planning, how to communicate the critical reasons for ACP and have productive ACP conversations, how to engage clients with selecting a power of attorney as well as understanding the documents involved with advance care planning, including advance directives and medical/physicians orders for life-sustaining treatment. Care managers will gain tools to assist in educating patients, families and colleagues about what Palliative Care is and how it can be helpful. The module emphasizes concepts of beneficence and autonomy for patients with serious or life-limiting illness, and gives tools to support communication with patients and families regarding therapy and other choices. Assessment strategies for bio-psycho-spiritual symptoms and for palliative care referrals is also included. The learner will begin the module exploring the history & philosophy of hospice, progressing into current models, services provided in various settings, and payment structures. Professionals typically within hospice teams, their roles and contributions are covered; with continued progression into symptom management, family dynamics, meaning-making, spirituality, and advance care planning as part of hospice are covered. Dying and what to expect, and grief and bereavement conclude the module. The Complex Care Coordination Interventions course consisting of its four modules is available online as a part of the Advanced Concepts curriculum training. Below are some Fast Facts about this course and its modules. Please call us for more information.